Wayne Nicholson and The Eastenders are a Blues Band based in Halifax, Nova Scotia. They have been nominated for an ECMA Award 2018 in Feb/18 for Blues Recording of the Year. Their nominated album is entitled, DIGGIN' THE DIRT. 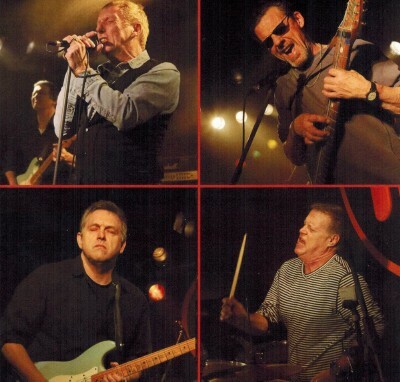 The Band members are Wayne Nicholson, Doug MacKay, James Logan and Brian Bourne. Wayne Nicholson is described as one of the finest blues-rock vocalists to come out of Atlantic Canada. He is a prolific songwriter, and recording artist and is a member of legendary Nova Scotia Bands. Doug MacKay is like a whose who of blues and rock in Atlantic Canada. He is a much sought after drum player and has performed with many popular artists like Dan Ackroyd, Dutch Mason, Morgan Davis and the list goes on. James Logan is a multi instrumentalist and Producer and has made a name for himself in the Halifax music scene and throughout Atlantic Canada for over the past 30 years. He has toured all over Canada, USA and parts of Europe. Brian Bourne an accomplished performer and songwriter plays the very unusal Chapman Stick, a multi-stringed wide necked, finger tapped rig that covers bass and guitar parts. With multiple ECMA nods and Juno Awards, he has performed on over 50 albums in Canada, US Europe and beyond.